Scotland's personal insovencies now at 14 year low. Home Economy Scotland’s personal insolvencies now at 14 year low. Scotland’s personal insolvencies number has fallen to its lowest level in more than 14 years. During the three months leading up to the end of June, just 1606 personal insolvencies were recorded, this is down 38.5% on the previous quarter and almost down 46% on the same quarter a year previous. 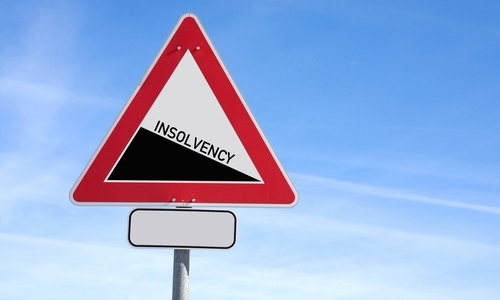 This is the lowest figure recorded for personal insolvencies since the final quarter of 2000/2001. Personal insolvencies comprise of bankruptcies and Protected Trust Deeds. In this quarter bankruptcies fell to 757, which is down 56.5% on the previous quarter and almost 57% on the same quarter of the previous year. The number of businesses entering into dissolution remained static, with 197 notices of Scottish registered companies becoming insolvent or entering receivership in the first quarter of 2015/16. This number remained the same as the last quarter, although this number is just over 21% lower than the same quarter of last year. The figures, reported by an accountant in bankruptcy, cover the first months since the legislation governing bankruptcy was amended. Changes to the law include mandatory money advice for people seeking access to statutory debt relief solutions. Next articleA Third of Glasgow Councillors FAIL to pay their Council Tax bills on time.